Considering Refelting Your Pool Table DIY Style? While we don’t necessarily advocate refelting your own pool table, we do sell the proper materials to get the job done. There are people out there that want to tackle this job on their own. They are either looking for a project or are trying to save money. Or both. First and foremost, you must be absolutely sure of the size of your billiard table. Even if you think you know what size you have, please measure. Once your billiard material is cut, it cannot be returned. You should also know what style your pool table is. There are many manufacturers and each have their own quirks. Knowing you have an antique, drop pocket uni-rail or a one piece slate can help. Knowing whether your slate is backed or unbacked lets you know if you will be gluing or stapling your cloth. Do you know how to remove the rails? It is a simple process, but can be tricky if you have never done it before. Most tables have six individual rails attached to the slate/frame with bolts. The rails also connect to the pockets with different sized bolts. The pockets are also tacked or stapled underneath the rail system. All of these must be removed in a specific way as to not damage anything. 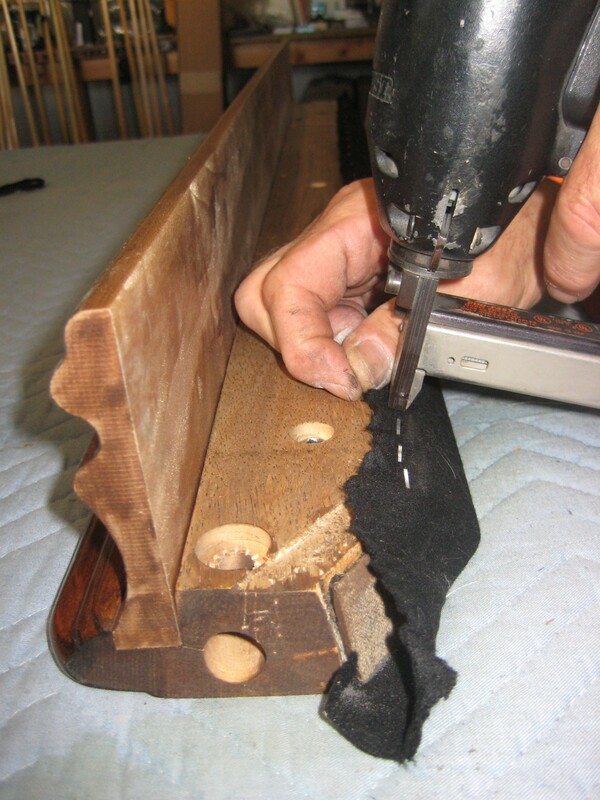 Refelting your billiard rails is the trickiest part. Working with feather strips and staples and cloth is difficult. Bad folds or not pulling the cloth tight enough will cause the ball to not bounce properly. Pulling too tight can leave indentations in your cushion rubber. 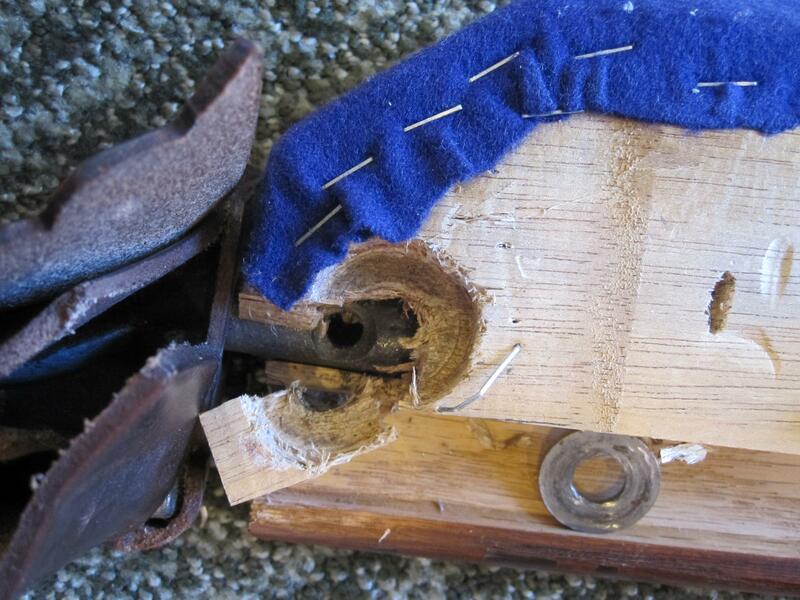 Recovering a rail is something that takes a lot of practice to master. Stretching the bed cloth evenly can present problems also. You can have wrinkles from not pulling evenly or loose cloth from not pulling tight enough. Both of these things can cause poor roll during your game. When the felt is finished being installed on both the bed and rails, you have to get the rails back on the pool table. Tightly, because loose rails move and become misaligned when someone leans on them. They must be straight from the get go or you will never make that long shot on the rail. If you are up to giving it a hack, come on by our showroom (with your playing field or slate measurements) and pick from our assortment of in stock styles and colors of high quality billiard cloth. Take your pre-cut cloth, new spot home and get to work. Don’t forget we sell pool cue chalk in matching colors, spray glue and other billiard supplies. And, if you get stuck, give us a call to schedule service or drop your unfinished rails off at the Service Center. Sometimes things are best left to the pros.